Pin is on top of the hill slightly to the left. 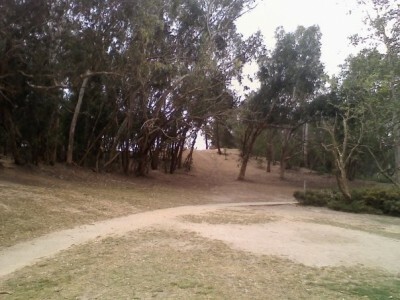 Hill on right can be steep and ends at the lake. One line up the center otherwise a crap load of trees to hit.